Live coverage of college football between Montana State and Portland State on Oct. 7, 2017, at Bobcat Stadium in Bozeman. 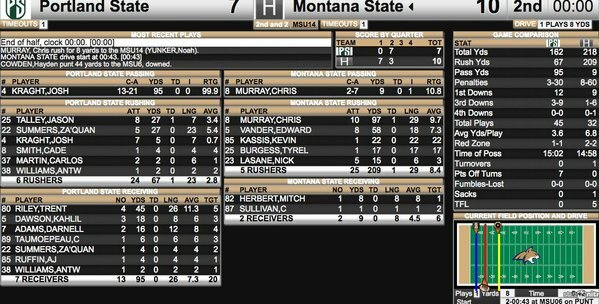 PSU punts for the sixth time today and MSU takes over inside its own 10. Troy Andersen has already had a couple carries on this drive to open the third quarter. He warmed up with linebackers today, his original position. He was moved to running back in fall camp and made an impact there throughout the season.